I first heard of this book when during my time in Istanbul I was taken to the Museum of Innocence, after which the book is named. By the time we had to leave (it was an organised excursion), I had only managed to see around five exhibits and I had a lump in my throat. I was still working on it on my return flight. What I really like about this love story is how it recognises the importance of the idea of time to love. Those who have experienced love will be able to point out how it is the stretching and the shortening of time that defines it so well, and The Museum of Innocence repeatedly insists that the only way that love can be seen in time is in moments. 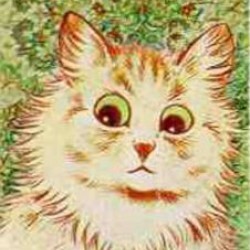 To some extent this reminds me of Love in the Time of Cholera, which also relied on time to express the idea of love. 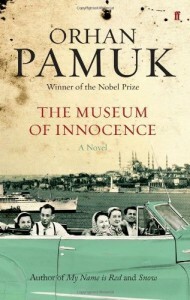 Pamuk's character starts collecting objects and describing places (the novel is set in Istanbul) to talk about his love when it sees no action - after all, Kemal spends around eight years visiting a flat to dine and then watch television in the company of his beloved, her husband and her parents. This love extends to his collection and to his city, when the story stops being about Kemal and Fusun and makes you realise - or remember - the comforting capability of human nature. It's a good book to remember when you next are tempted to feel alone. You know that Alan Bennett quote from the Waterstone's billboards - "The best moments in reading are when you come across something – a thought, a feeling, a way of looking at things – which you had thought special and particular to you. And now, here it is, set down by someone else, a person you have never met, someone even who is long dead. And it is as if a hand has come out, and taken yours." Ah, this is it. By the way, I was baffled by the Guardian quote on the front, saying 'An enthralling, immensely enjoyable piece of storytelling'. It is not strictly speaking incorrect, but 'enthralling', 'immensely enjoyable' and 'storytelling' are not the words that come to mind after reading this book.